A scene from the garden. On the left, the New Zealand Praying Mantis Orthodera novaezealandiae. 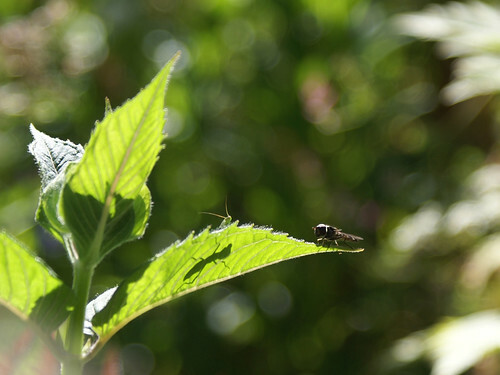 On the right, a hover-fly that doesn’t know how much trouble it’s in.